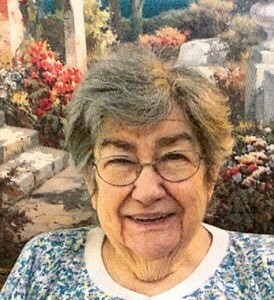 Marilynn (Hundley) Burton, 80, of West Point, Kentucky, passed away on Wednesday, April 10, 2019. Marilynn was a member of Welsh Tract Old School Baptist Church in Newark, Delaware. She was born on August 13, 1938 in Louisville, Kentucky to William and Lucille (Schneider) Hundley. She is preceded in death by her parents, brother Earl Hundley, sister Rosa Allgeier, brother Harold Hundley, and brother-in-law Elder Gary Allen. Marilynn is survived by her loving Husband of 55 years, Larry L. Burton, daughter Rebekah R. Goldsmith, son Jefferson D. Burton, daughter Melissa L. and husband Ricky Cash; and her loving grandchildren Tabitha Goldsmith, David Goldsmith, Keaton Burton, and Connor Burton. She is also survived by her sister, Judy Allen, sister-in-law, Sharon Hundley, and brother-in-law, Anthony Allgeier. Visitation will be from 1:00 pm to 5:00 pm on Sunday, April 14, 2019 at Newcomer Cremations, Funerals & Receptions - Southwest Louisville Chapel, (10304 Dixie Hwy). Funeral service will be held at 11:00 am on Monday, at Newcomer Cremations, Funerals & Receptions - Southwest Louisville Chapel with burial to follow in Lexington Cemetery. If you need an arrangement delivered in less than six (6) hours, please call (800) 707-7361. Add your memories to the guest book of Marilynn Burton. My thoughts and prayers are with you and your family during this difficult time and always. I am so very sorry for your loss. Warren J. “Ren” Newcomer, Jr. is a licensed funeral director in the states of Kansas and Ohio. Theresa Newcomer is not a licensed funeral director. David Campanella, Area Manager.